As we bring 2014 to an end and ring in the start of 2015 take a quick break from family, friends, and festivities to double check the authorizations of your PAH medications. How do I know if my PAH medication needs a new authorization? Many insurance plans change their drug formularies each year. These changes can affect the quantity or strength of medications they are willing to pay for, change requirements a patient must meet to qualify for the medication to be authorized, or add or delete medications from their formulary. Each plan member will receive a written letter explaining these changes. Often times the letter will lay out which if any of the medications a patient is on have had any changes and outline the steps necessary to continue to receive the PAH therapy. 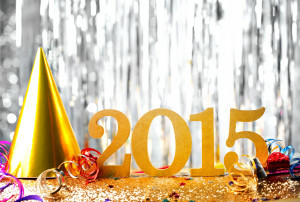 The New Year is also a popular time to switch insurance plans or pharmacy benefit plans. Most PH medications require prior authorizations. Double check your new plan formulary to see which of your medications will require a medication prior authorization. How do I obtain a new prior authorization for my PH therapy? Insurance companies require that physicians’ offices complete medication prior authorization requests. The pulmonary hypertension nurse coordinator at your PH specialist’s office will need to submit a request for prior authorization via phone or faxed form. It is important for patients to provide new insurance and pharmacy benefit information including name of plan and ID number as soon as it is available as this information is necessary to complete the authorization process. The insurance company will respond to the physician via fax and plan member via mailed letter once a decision regarding the authorization has been made. I have a new prior authorization for my PH treatment…now what? Once the medication prior authorization has been approved by the insurance plan pharmacies will be able to fill the prescription. Contact the pulmonary hypertension nurse coordinator immediately if there are still problems obtaining the medication or if the copay is excessively high. The nurse coordinator can work behind the scenes to smooth out any problems and make sure the patient receives medication. Each new PAH medication authorization will have an expiration date. Some approvals are good for 6 months, others 12 months, and some very rare plans indefinitely. Mark the expiration date on a calendar. A few weeks prior to the expiration contact the prescribing physician’s office and notify them that the expiration is approaching. This approach will allow for a new authorization to be obtained before any doses of medication have been missed.